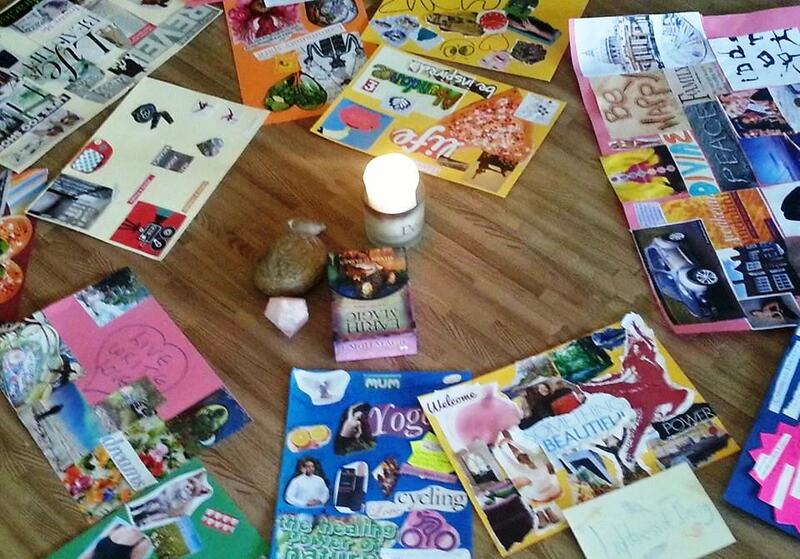 On Saturday 1st of February, 14 women joined me in the space at In the Moment for “My Perfect Year – 2014″ - a dreaming and planning workshop timed to coincide with the season of Imbolc. We had a beautiful day of dreaming things into being. We explored our Sacred Words, we danced, we created dream boards, we meditated and journeyed and we heard some inspiration words and poetry. Look out for more dreaming and planning workshops at Beltane, Lughnasadh and Samhain. We began with these words from Abraham Hicks Daily Quotes on 31 January. Very timely.